These are example letters from mothers, daughters and sisters from around the country. Keep in personal. If you want to refer to specific things that the Obama’s can do for Darfur, please use ENOUGH Project’s recent President Obama and Sudan: Blueprint for Peace. Being a Mother is one of the most magical experiences. Somehow a great outpouring of love is created in your heart for this little helpless human being who you don’t even know. Somehow your child is beautiful and brings your pleasure and a most intense desire to protect and care for this little one. The emotional pain of not being able to feed your child, get water for your child or protect your child from abuse and violence is devastating. 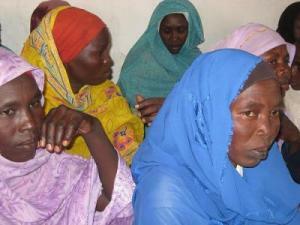 Gut survival issues and in Darfur, many children do not survive, and some Mothers do not survive. Mostly here in the United States we worry, but about lessor things like a crib, a stroller or later will my child have good playmates, or a good teacher. Quality of life issues, not survival issues. The difference between our living standards is great but the Mother feelings are the same. I send my blessing and my love to Mothers all over the world. I feel a kinship with all of you from Michelle Obama to the Mothers in Darfur refugee camps. 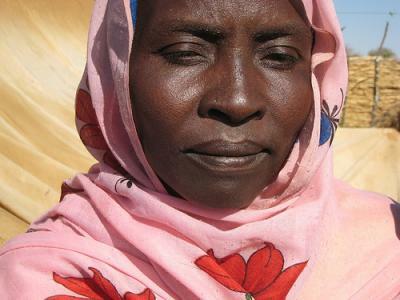 This Mother’s Day, please remember the women and children of Darfur. I still cannot believe, when I see you and your husband, our President, on television, in the papers, on the radio, that the dream has come true. Indeed, there is so much work to be done, yet hope is back for me, as a mother, that my children will be raised in a world that will be more tolerant of diversity, more peaceful, more caring, more giving, and more nurturing to the people, near and far who need basic sustenance to survive. As a mother living the American dream, I am lucky. I have a fulfilling job as a teacher, a house, a car; I have time to give to my children, time to play with my children, time to love my children. I sometimes take for granted that I am also able to house my children, feed my children, tuck them soundly into bed at night, lock the door, and sleep soundly myself knowing my children are full, safe, and happy. I have a friend who works for Stop Genocide Now. I am sure you are aware of the political and humanitarian crisis that has plagued this part of the world. She has told me of her visits to the refugee camps in Chad. I am amazed and awed by her personal efforts to do SOMETHING. Her stories of the people, the despair, and the struggles have opened my eyes to a world so beyond my reality that it is almost too difficult for me to even imagine. Her last report, however, was one that I can’t shake; I can’t imagine having seen it first hand. She spoke of the mothers. The mothers who were holding their children, babies who had become more emaciated since her last visit. I think that as Americans viewing this situation from afar, we tend to think of the crisis in terms of a people, a country, and a unit. Maybe we have to in order to cope with the great injustices that exit in this world. But now, as a new mother of two, I look at the injustices differently, from a mother’s eyes. These countries, this unit, these people, are also mothers. Mothers who are fighting an uphill battle to keep their children alive each day in the face of unspeakable violence, unspeakable terror, unspeakable loss and poverty. No one can truly understand the love a mother has for her children, until you are a mother yourself. Michelle, you understand. You have the power to make a difference. On this Mothers’ Day, as a mother, and as the First Lady, please bring the message to the powers that be to help these mothers protect their children, keep them safe, keep them warm, keep them fed, keep them alive. On this Mothers’ Day, help mothers across the globe to fulfill their innate mission, to complete their hearts, to nourish their children. On this Mothers’ Day, give the gift of your voice, your action to Mothers’ across the world. Demand AIDE and JUSTICE for Darfur Children. Please do not give up until every mother knows their Darfuri child is safe. There are actually numerous details like that to take into consideration. That may be a nice point to convey.